Salt Soap Bars. A combination of natural soap, a sea salt bath, and salt scrub. Pure Home Spa Luxury ! Natural sea salt is rich in skin nourishing minerals like magnesium, calcium, potassium and iodine. restoring the Ph value of the skin. It makes dry or rough skin really soft, smooth. An added benefit is is relaxes skin muscles. between Jordan and Israel. The water there has 29% salt, compared to 4% in the oceans. as such has more healing properties. with Mediterraneum Sea salt for a luxurious and highly effective spa bar. 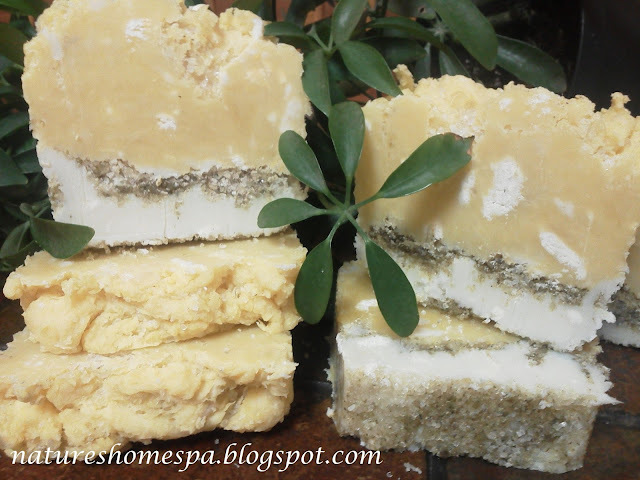 There are a few different ways to make spa salt soap bars, this is just one. this bar works great on your weary, dry feet and heels as an exfoliater and hydrator and soother. shaving soap. Best used with warm to hot water to melt butters. Not a latherer. Pretty salt soap love Anna. A salt soap I have to do well again. 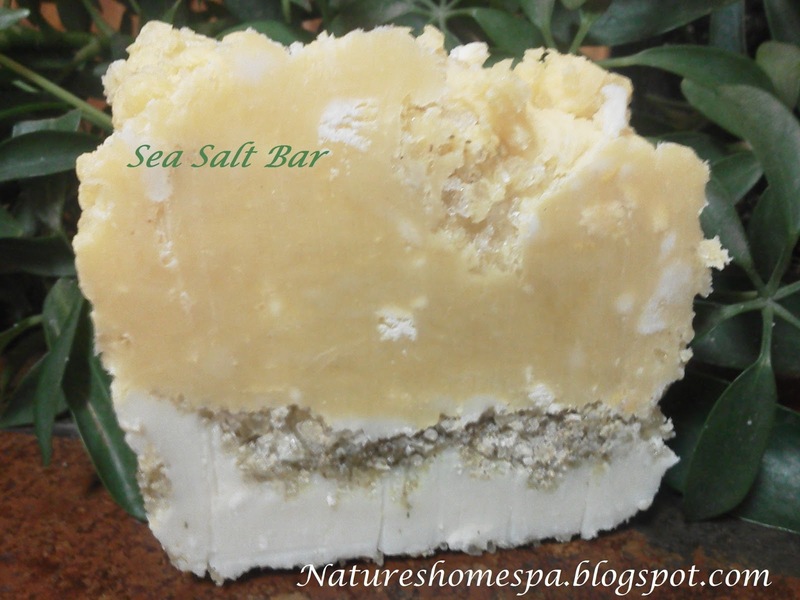 Salt soap is one of many soaps that are on my list of soaps to make. You did great! Your bar looks wonderful! Val, thanks. It was a fun bar to make, it smells incredible. The next salt bar I make will be probably be with the salt all through it, like a solid salt scrub. Do you think sugar would work the same way as salt does? very informative and it was worth reading. I did enjoy and learn new things. Cheers! Thanks Vincent, I appreciate the comments. This salt bar was alot of fun to make and use, it dosn't make alot of lather due to the high olive oil content and salt in it, it has almost a lotion feel to it.